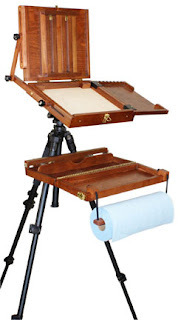 This is a great compact artist's easel, palette, and supply holder all in one. We are able to order this easel or any of its components for you. Our shipments usually arrive on Tuesdays and Thursdays around 11:00 if it is in stock with our supplier. Click on the image for a description.